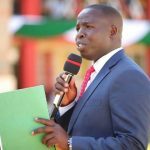 The County government of Nandi has announced plans to upgrade 28 health facilities in Nandi to receive referrals in an effort to decongest the Kapsabet County Referral and Nandi Hills Hospitals. County Executive Committee Member for Health Sanitation Ruth Koech revealed that the projects would be completed by December 2018. Some of the facilities will be elevated to level four status which means that they will now provide comprehensive medical and surgical services, child health, accident and emergency services as well as non-clinical support and referral services. 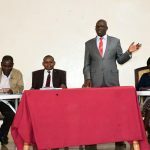 “The upgrades have already been budgeted for and once we are done the impact will be felt in the county especially at Kapsabet County Referral which has been struggling,” the Health CEC explained. 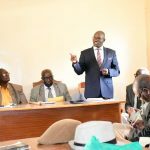 Director of Medical Services endorsed the project observing that many of the hospitals within the city remained at a low status due to insufficient input adding that the move would ease the pressure on KCRH.